Allegations that Pope Francis covered for a senior US cardinal accused of abuse have raised questions about a possible plot against the pontiff by figures within the Catholic Church's ultra-conservative hierarchy. Archbishop Carlo Maria Vigano, a former Vatican envoy to Washington, dropped an 11-page bombshell at the weekend accusing Francis of ignoring sexual abuse allegations against prominent US cardinal Theodore McCarrick. Pope Francis "knew from at least June 23, 2013, that McCarrick was a serial predator," Vigano alleged. "He knew that he was a corrupt man, he covered for him to the bitter end." The timing of the letter's release -- right in the middle of Francis's landmark trip to Ireland -- immediately raised speculation about a campaign against the Argentine pontiff. But so far, Francis has remained silent, refusing to address the allegations and saying only that Vigano's missive "speaks for itself". Since then, two of the pope's fiercest critics have stepped forward to support the archbishop. Italian journalist Marco Tosatti, who runs a conservative and staunchly anti-Francis blog, boasted Tuesday that he had helped Vigano craft and edit his testimony before translating it into Spanish and English. Tosatti praised the "courage" of Vigano, who was never made a cardinal and was exiled to Washington as the Holy See's ambassador after blasting the Vatican for poor financial management. On Wednesday, US cardinal Raymond Leo Burke -- the pope's fiercest critic within the Vatican -- backed Vigano's call for Francis to step down. "I cannot say if it is wrong to demand the resignation of the pope, I only say that to get to that, you have to investigate and act on what's found," Burke in an interview with Italian daily La Repubblica. "A resignation request is legitimate regardless. Anyone can make it for any clergyman who has made a grave error." This is not the first time Burke has moved against the pontiff. In 2016, he was one of four cardinals who wrote a letter to the pope saying that he should be sanctioned for confusing Catholics after permitting people who have divorced and remarried to take communion in certain circumstances. Vigano, 77, is also no stranger to showing his disapproval of Francis -- last year he was one of 60 conservative priests who signed a petition accusing the pontiff of "heresies". Nonetheless, he told RAI television on Wednesday he "never felt any desire for vengeance or held a grudge" against Francis. 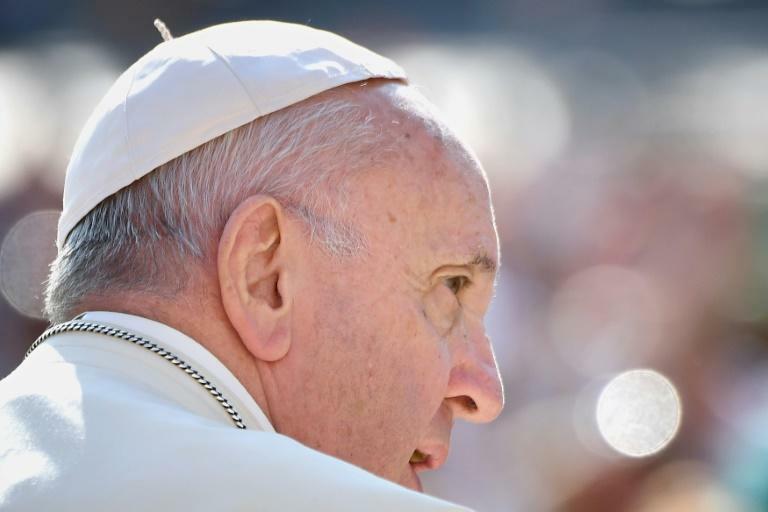 Paul Elie, who lectures at the Berkley Center for Religion, Peace and World Affairs at Georgetown University, said the voices raised against Francis were a direct result of his tolerant outlook. "Because Francis is not inclined to an authoritarian style, he has allowed a much greater degree of dissent to be expressed openly than his predecessors," he told AFP. People, he said, were speaking out "much more than they used to." 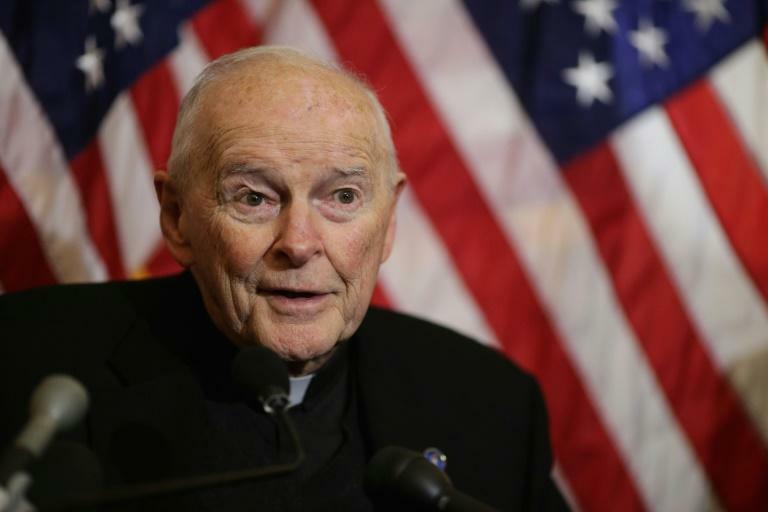 The storm surrounding McCarrick, 88, broke in June when American Church officials said allegations he had sexually abused a 16-year-old boy half a century ago were credible. McCarrick, one of the most senior Catholic leaders to face allegations of abuse, denies that particular charge. But a month later, in an unprecedented move, Francis accepted his resignation as a cardinal. Vigano, who served as ambassador between 2011 and 2016, claimed he had warned the pope back in June 2013 that McCarrick was sharing his bed with young seminarians and priests. And he accused Francis of ignoring sanctions that were allegedly imposed on McCarrick by Pope Benedict XVI in 2009-10, condemning him to a discreet life of penance. Vigano said Francis "did not take into account" these sanctions and instead made McCarrick "his trusted counsellor", consulting him on a number of cardinal nominations. There is no public record of any such sanctions and it remains unclear whether Francis was aware of them. But Vigano says Bishop Jean-François Lantheaume, a former senior Vatican counsellor, was there when McCarrick was informed about the sanctions by the Vatican's previous ambassador, who is now dead. He said Lantheaume, who is currently serving as a priest in Genoa, was "ready to testify" about that meeting in Washington DC. Lantheaume did not respond to AFP's questions but told the Catholic News Agency that Vigano had told "the truth". Even after he was sanctioned, photos have emerged showing McCarrick visiting Benedict at the Vatican. The retired pontiff's private secretary has said he will not be commenting on the matter. And the US-based Catholic News Service on Wednesday released a video dated May 2012 when McCarrick was allegedly barred from appearing in public. In it, Vigano is seen with him at a gala dinner in Manhattan, smiling and saying the cardinal was "very much loved by us all". As debate raged over the latest developments in a long-running abuse scandal that has shaken the Church, Vatican number two Cardinal Pietro Parolin told the Vatican Insider website that although Vigano's allegations had caused "bitterness" and "concern", Francis remained "very calm".